2. Pour into a serving glass and garnish with remaining 1 tsp. 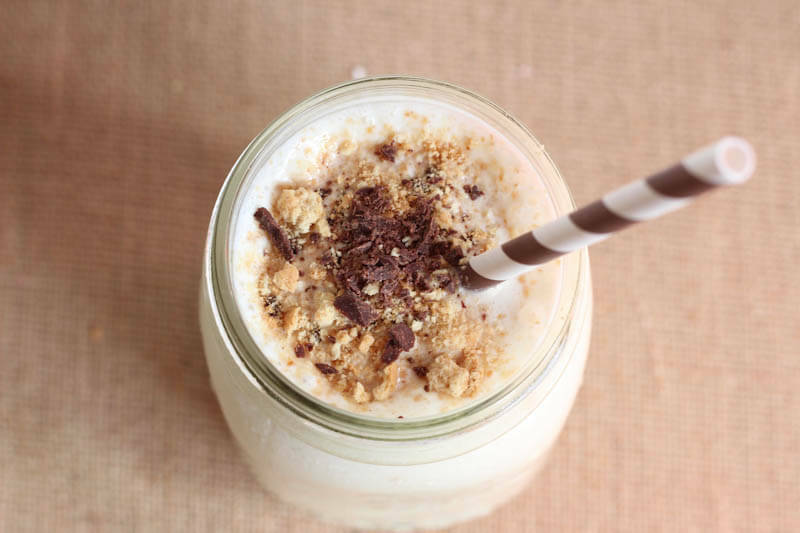 graham cracker crumbs and dash of Chocolate Shakeology; serve immediately.